Just because the weather outside is grey and wet doesn’t mean you should give up on colour. Winter season is a great opportunity to add some paint into your home-staging and there are great colour palettes for you to choose from to add some warmth to your interior with our cosy winter decoration ideas. Spending most time of the day inside on your couch with a hoodie on should be done in a cosy and fitting environment and the following winter interior trends might change the whole ambience of your home. By redecorating different areas of your space, adding accessories and texture can help you achieve a heart-warming winter look. Sometimes rearranging your lounge can already revamp your living room by adding some cosy seats near or around the fireplace. If you are not sure which style goes best with your interior, there is always the option of furniture rental to try out different settings and atmosphere for the dark season. One of the quickest ways to cosy up your home is to add layers of texture with snugly blankets, sheepskins and overlapping rugs to make coming home in cold weather much more desirable. Furthermore, can the opulence of winter be reflected in different fabrics of plaids thrown over your couch made of knitted wool, cashmere and luxe velvet to give a room more texture and warmth. All of these materials will immediately turn up the heat in a room and create a relaxing and inviting setting. To add warmer tones to overhead lighting, try vintage tableside lamps and candles for a cosy atmosphere to defy the lack of natural light. Not only will candlelight create a calming element, you will also save on energy bills. Furthermore, metal candleholders will help bring life to the room and the décor element adds contrast to the setting with its reflecting quality. When shopping for winter décor, this year’s trend still calls for nocturnal shades as they lend a sophisticated and chic look to your interior within seconds. Colours that are also trending this winter are rich, saturated tones such as dark emerald greens, luxurious red velvets, earthy tones and jewel hues such as warmer metals like copper and brass. Terracotta: A trending colour palette this winter is the terracotta tone mixed with warm reds and yellows. 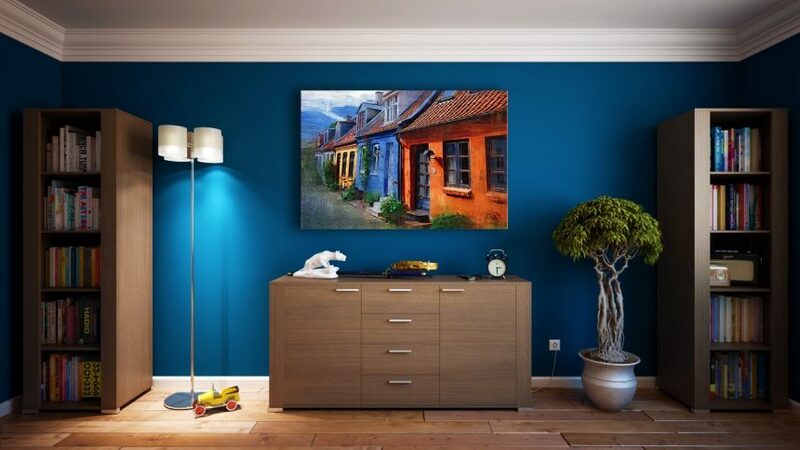 The Mediterranean hue is simple but strong and also goes well with cool blues and neutral colours like grey and white. Terracotta makes a great blanket colour or an accent piece of cushion on your sofa. Olive green: As well as terracotta, olive green is an earthy hue that is great if used to accent a couch or seat. The masculine colour is great for shared areas such as dining chairs or lounge arrangements. Bodacious pink: This colour is a particular hue between blush pink and violet and brings a mature depth into your winter colour palette. Paired with contrasting black its best featured as rug or bedding for ultimate impact. Mustard: Even if mustard reminds us of the 70s, the warm colour has a great personality. Used in cushions and rugs or sparingly in artwork it will complement the winter colour palette of your home. Indigo: Dark blues never go out of style as they give a luxurious and electrifying energy to the interior. As well as indigo, cobalt blue is another key shade for winter and can be used in your living area to create a relaxing zone. Purple: Purple goes incredibly well with the bodacious pink, mustard and even the cobalt blue. Especially when used in velvet textiles the luxurious colour is made to give that tiny extra oomph to brighten up a room.